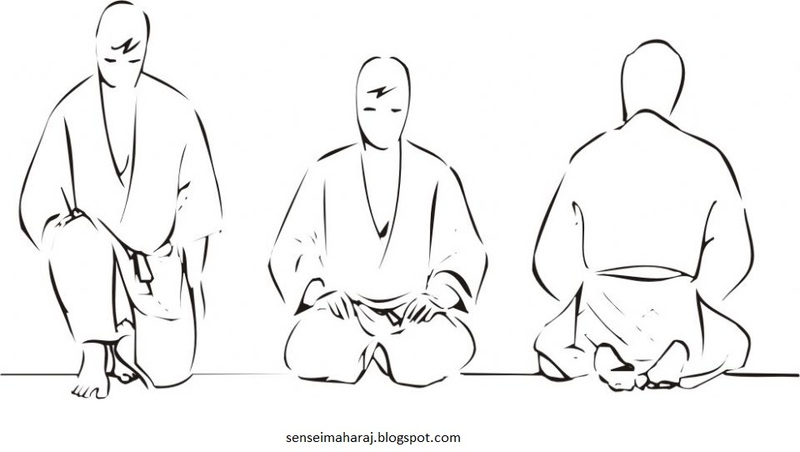 There are two kinds of meditate procedures. 1. Closed eyes position, means focus on the particular point. (It is also acceptable to have your eyes only half closed.) 2. Next one is open eyes position, see the particular object and meditate. This kind of way is little bit good to improve the zanshin. 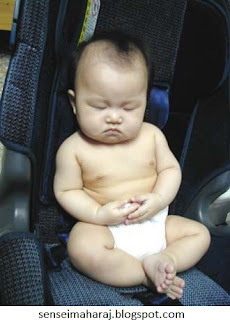 (It refers to a state of awareness – of relaxed alertness. The literal translation of zanshin is "remaining mind"). 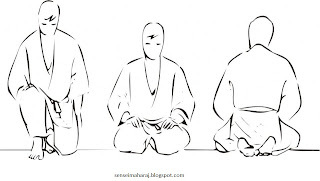 This kind of meditation is when you put a focal point (point) in your mind to prevent you becoming distracted by such things as how much your feet hurt, voices outside or cars going by. As you breathe deeply, try to visualize an object such as a fruit, divine light, heartbeat, breath or a palm. It must be something simple, if you chose a palm, then it should simply be palm. Not focus the lines on it. Now when you hear the phone ring and you find yourself listening to other noises, visualize your "palm or heartbeat" and focus on that only. Continue your breathing and "see" the palm or focus heartbeat in your mind. When you become distracted you will notice that the image you created in your mind will vanish. This is when it's time to refocus on and try to hold the image steady for the duration of your mokuso. When you get distracted just cut that thing or noise and comeback to the mokuso. If you feel the same then cut and come back. Like this way you've to practice. After you finish your mokuso, open your eyes and breathe normally. You should find that your worries have temporarily subsided and feel good. You'll feel calmer, more relaxed and focused, and more importantly ready to work hard and do good karate. Then it's time to jump up on your feet and begin your warm-up. This simple method helps you focus on one thing and at the same time, dissolve any emotional baggage that you might have brought to the class with you. How long should mokuso be? Opinions vary, but mokuso at the start of class is usually short. Less than one minute although some dojo’s may make it longer. A reason for its brevity is so that you can clear your mind before class without getting sleepy! If mokuso is any longer in duration, would be good for kids. This is my opinion. And I’ve been teaching this way. Mokuso is like anything else. It takes practice, but once you get it you will find it an effective tool to help you with your karate. Practice at home if you like. Just find a place where you won't be disturbed and take the phone off the hook. You'll soon get the hang of it. So next time you're in class and hear the word "mokuso", try this method for yourself. Don't just be satisfied with "thinking happy thoughts" for that won't help you clear your mind and focus on your training. Decide what your "object " is going to be, find it in your mind and stay focused on it. Many! Many plus points. I can't explain by keyboard, pen, and paper like this kind of stuff. Just do it and tell me how you feel.